Ruth Reichl shares stories from her new memoir, “Save Me the Plums,” and Alana Newhouse talks about what made the cut for her new book, “The 100 Most Jewish Foods.” Plus: A review of the Japanese katsu sandwiches at Konbi in Echo Park, how to make Isa Fabro’s Mango Royale pie and turning stinging nettles into cocktails at the market. LA Times restaurant critic Patricia Escarcega recommends you stop by Konbi in Echo Park this week for Japanese eggplant and pork katsu sandwiches. Los Angeles pastry chef and KCRW Pie Contest judge Isa Fabro walks us through how to make her signature Mango Royale icebox pie . Passover is right around the corner. 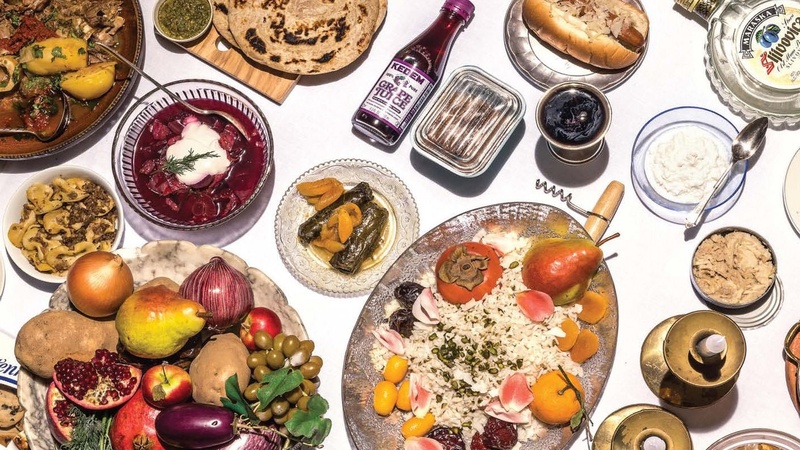 As we start to think about what to arrange on our Seder plates, we called Tablet magazine editor-in-chief Alana Newhouse .